Why no thoughts in today’s blog? 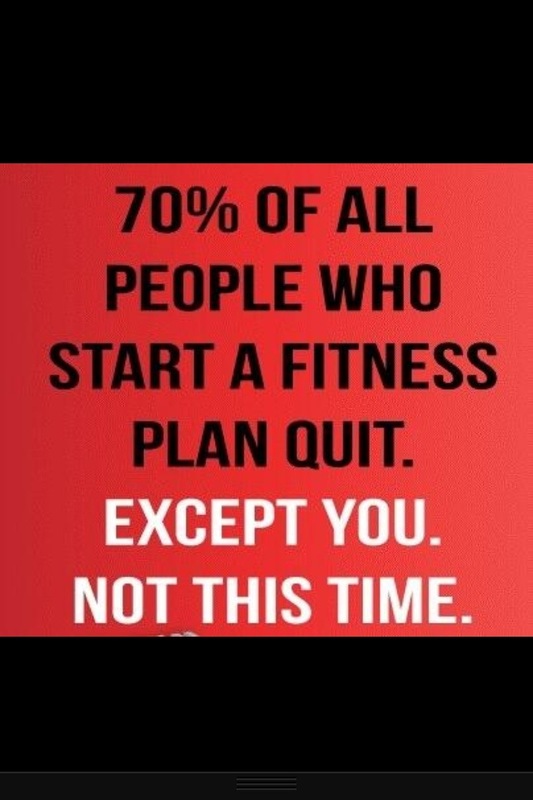 30% success in keeping a fitness plan seems quite high to me. I like to think in a favorable way. Each step forward gets you further on your journey. Each cookie not eaten is one less to have to work off. Keep working on your goal. You are the power behind your success! It was a quick post I put up while at work. I felt add at not having anything posted for the day, and I had n=been wanting to use that picture. I agree that the 30% seems high, when you hear so many people (myself included) who have fallen off, back slid, whatever. The focus, the celebration is rarely on those who succeed and maintain. I want to have faith in that 30%, eventually being able to count myself among that group, like you are able to do. Thank you for reminding me that I am the power behind my goal!